VR & FUN is a hyper driven digital news and media company that delivers the best content in VR + AR + Lifestyle. We’re here to provide the most informative news for the growing community while providing a little fun through media content. VR & FUN Plus is the most exclusive VR club that incorporates exclusive content and exclusive game giveaways. This means that not only will you have access to exclusive content first but members will also be receiving top-rated and exclusive VR games on a weekly basis. And no, you don't need to own a headset to join the VR & FUN Plus. We want to be able to share the joy of VR with people who are interested in immersive gaming and experiences. The VR & FUN Plus Membership will help you gain access to insights, exclusive VR games and premium VR headsets with a simple subscription of $5/month. 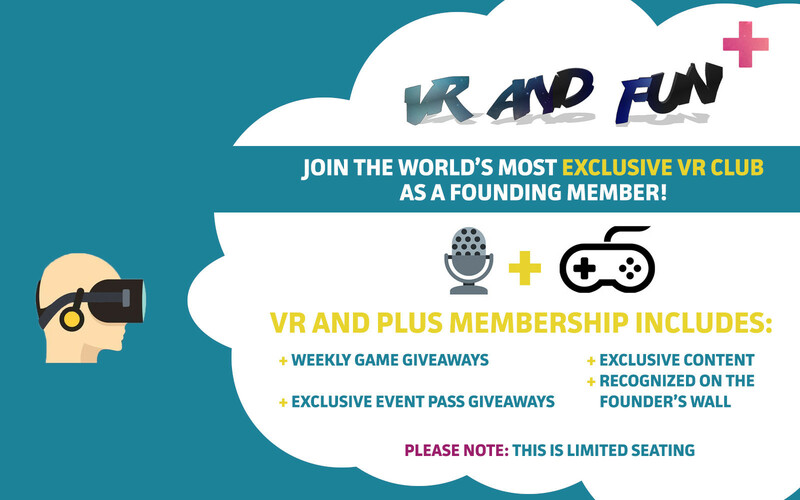 The VR & FUN Plus Membership for our founders is LIMITED so make sure to join right away. We hope to share some amazing VR experiences with you starting now!